The house that is now 19 Pullins Green in Thornbury was one of the four houses built by the Thornbury builder, George Hodges around 1870. George named the houses ‘Victoria Terrace’. Read more about the history of the terrace. George Rees – George occupied the house from the 1880 Rate Book through to 1910. He was a Baptist Minister, born in Havorfordwest about 1838. In 1881 and 1891 he was there with a housekeeper, Mary Wiles, a widowed annuitant who was born in Edington, Warwickshire about 1828. In 1901 he had a different servant, Elizabeth Trayhurn, aged 18. Percy and Edith Ann Wilkinson – it would appear that the Wilkinsons moved into the house after the Sainsburys as they were there in the 1939 Electoral Register. We are not sure if there was any relationship between these Wilkinsons and the bakers who lived at 4 St John Street. According to the special register compiled in 1939 in preparation for the war Percy was described as a ‘clerk (retired through illness)’ and born on 20th October 1889. We think he was born in Tewkesbury. Percy married Edith Annie Cripps in Gloucester in March quarter 1912. Edith was born on 15th January 1884, the daughter of W.J. Cripps, a market gardener and his wife, Sarah J. Cripps. Edith had been born in Gloucester. In 1901 the family were living at Waterpools Lane, Tuffley in Gloucester. Percy died on 7th August 1953 aged 63 years. Percy and Edith had been renting the property from the estate of George Hodges. In 1960 Edith Annie bought the house from the Hodges estate for £881 10s. She died on December 30th 1969 aged 85 years. Henry George and Grace Thompson – Henry and Grace shared the house for some years with Percy and Edith Wilkinson. Both families appear in the 1946 Electoral Register and Miss Higgins has also confirmed that they both lived in the house. The Thompsons had moved to the High Street by 1950. We are not sure on what basis they shared the house as we haven’t yet found any connection between the families. Henry Thompson (shown in the photo on the right) married Grace Holpin (shown in the photo on the left) on August 7th 1944 at the Congregational Church. Henry was born on 29th April 1905, the son of Albert Ernest and Amelia Thompson, the baker, of St Mary Street. Grace was born on 20 October 1913, the daughter of William Holpin of Grovesend whose family later moved to Saw Mill Lane. Her photo is shown on the left. Henry went to the Grammar School in 1917 and when he left he became a baker. He worked with his father in his bakery and shop which had now moved to the High Street and become A. E. Thompson & Sons. Grace died on 3rd May 1952 aged 38 years. Henry died on 4th August 1975 aged 70 years. William was born on 18th December 1923, the son of Hector and Alice May Gill of the High Street. He was the grandson of Alfred Gill, the engine driver who lived in Jubilee House, Gillingstool. We were told by Pam Lewis that ‘Bill’ Gill worked for Rolls Royce and they had a daughter, Julie, born in 1952. The Electoral Register shows that they were living in this house from 1954 onwards. We believe that they were living with Edith Wilkinson to look after her because William was her nephew, his mother Alice being Edith Wilkinson’s sister. The St Mary’s Church records show that they also had a son, Jonathan William Gill was born on 13 October 1959. The records show that William was a company representative at that time. When Edith Wilkinson died in 1969 the house was left to the Gills. The 1970 Electoral Register lists Julie M Gill in the house at that time but she married shortly after. We understand that the Gills moved to the High Street in the vicinity of the old Westminster Bank. 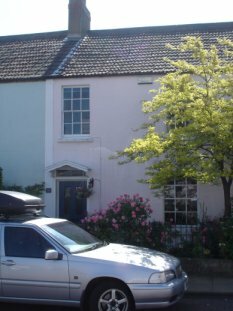 The deeds of 19 Pullins Green show that the next owner of 19 Pullins Green were John Gareth Roberts and Susan Margaret who moved from Streamleaze when they bought the house from William and Margaret Gill in 1975. In September 1982 the house was bought by Nigel and Linda Booty who moved from Clifton to live there with their three children until 2002. We would like to thank the present owners, Geoff and Rachel Longstreeth, who bought the house from the Booty family and were kind enough to show us their deeds.